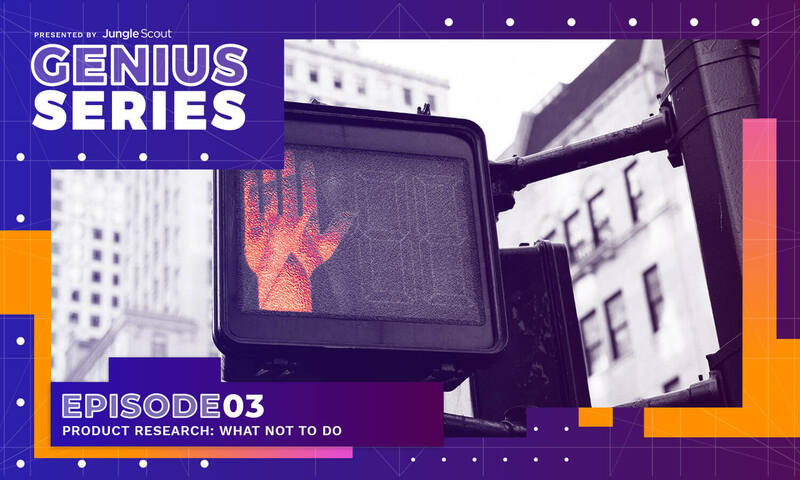 Last week, we discussed the basics of Amazon product research and product hunting in our second episode of the Genius Series. If you didn’t already watch it, be sure to go back and review. Plus, make sure you do your homework! This week, I want to go a little more in-depth on the Amazon product research process and cover some “what not to do” elements of product research. There’s nothing more exciting than finding a product niche that’s selling hundreds, if not thousands, of units per month. Unfortunately, the average sales volume–or demand–is only one piece of the puzzle. In addition to demand, you still have to consider competition, costs, improvability, seasonality, and more. Failure to factor in those important elements can cost you thousands. Believe me, I’ve made the mistake before myself. One tool that can help you figure out whether or not a product is worth it is our opportunity score. Each time you do Amazon product research using the Jungle Scout Chrome Extension or Web App service, the niche is rewarded a score based on our own bulletproof algorithm. We suggest that you find products that rank 7 or more. Specialist/collectible categories. These are categories that only niche experts should sell in, as they typically have high quality standards. Examples include collectible coins, sports memorabilia, and fine art. Hazardous/high-liability categories. Amazon doesn’t want a bunch of law suits on their hands, therefore the categories with products that could prove dangerous to shoppers (and FC employees, too) are off-limits to those without an approval. Examples include major appliances, cosmetics, food, and even toys/games. High-maintenance categories. Some product categories are definitely geared towards more advance sellers as they come with high return ratios, sizes, colors, and more. Amazon just wants to make sure the seller knows what they’re getting into before they start selling these items. Fashion and clothing fit into these categories. Expensive/high-quality categories. Finally, some items are far more expensive than the typical $0-$100 price points of other Amazon products. It takes an expert to sell these items. These categories include fine art, watches, and jewelry. To sell in these categories, you must become “ungated.” Each gated category has its own set of requirements. You can read more about getting into restricted categories in our blog post on the topic. One trick we like to tell new sellers is that before you ever even place a deposit on products on Alibaba or wherever you’re sourcing, try setting up a listing for the product first. You may have to purchase a UPC to do it, but trust us, the $25 spent buying a UPC is a lot better than having a few thousand dollars worth of product you can’t sell through FBA. A few years ago, it was pretty easy to find a product niche, see what what top sellers were doing to sell those products, and just totally “copy and paste” those products. Source it cheap, throw on your own brand name, stuff in a white box, and watch it go. Because of this, you’d have an entire first page of search results all with the exact same product over and over again. Needless to say, Amazon wasn’t crazy about that dynamic. Since then, Amazon’s A9 algorithm has gotten a lot smarter. Now it knows to look for products that are just different enough while ranking them. That’s why you can no longer just “copy-and-paste” a product niche. Not if you want to succeed, that is. Which one of these fidget spinners stands out more than the others? When doing Amazon product research, be sure to find a way to make your product stick out. 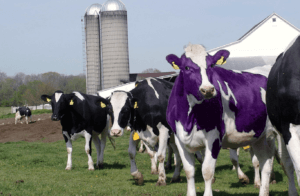 Consider Seth Godin’s concept of the purple cow. If you’re driving down a country road, you might remark the first time you see a brown cow chewing grass out your window. But after a few more brown cows, you stop turning your head. Been there, done that. But wait–now there’s a purple cow among those brown cows. You’ve never seen anything like it. You stop the car, get out, take a few pictures, share it all over social media. Sure, it’s still a cow, but hey! It’s purple. That’s the kind of product you want to create. One that still easily fits into the product niche, but also turns heads. Back when I started with Amazon private label, I made a huge mistake with my second product. First, I violated the first DON’T on this list–I only focused on the sales figures and not the competition. But second, I picked a product that only sells during the summer. Not only did I have a heckuva time trying to sell the things during the high season, but once it started getting cold I was getting a weekly goose egg. To this day, I have over 1,000 watermelon slicers sitting in my garage. When doing Amazon product research, if you aren’t sure whether or not the product you’re tracking is a seasonal item, simply click the Google Trend Report button located in the bottom left of the Jungle Scout Chrome Extension. Launching an Amazon private label business is more than just picking a few profitable products and throwing them up there and seeing what sticks. It’s about building a brand. Not only will building a brand give synergy to your overall product line, but it will help you get bonus features in seller central like brand registry, enhanced brand content, and storefronts. And if you use outside marketing channels, it will help you segment your audience even more and give them new buying opportunities. Headline search ads are just one of the many benefits of having a brand with more than one product. Of course, you don’t have to actually invest in more than one product when you’re starting out. But it pays to have a strategy in place. As you perform Amazon product research for your first product, consider ways to extend your product line in the future. Research those products, too. And continue to track them alongside your first product. The biggest mistake we see time and time again at Jungle Scout are people who find a product and dump the product tracker once they’re finished with the Amazon product research phase. 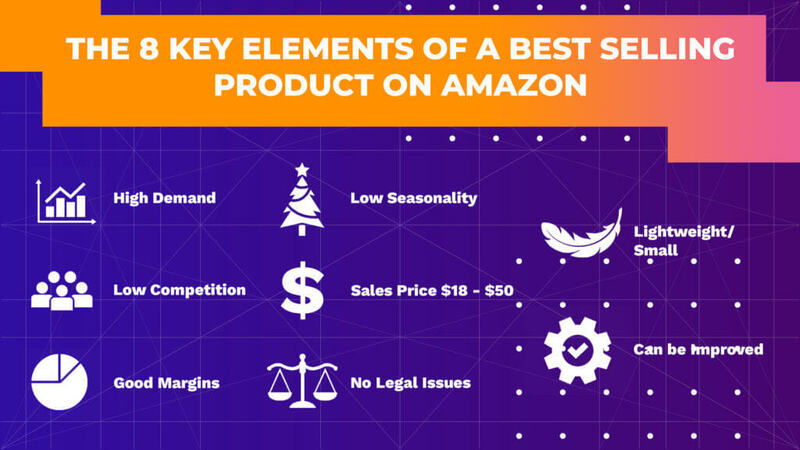 Not only should a seller start thinking about products 2, 3, and 4 after they’ve discovered their first product, but the Amazon marketplace is constantly changing. There’s no telling what could happen in the 30-60 days from the time you put down your deposit to when your goods actually arrive. Remember my watermelon slicer horror story from before? In the time it took to manufacture and import my products (roughly 45 days), over 200 new sellers entered the market. What was once a opportunity 8 product quickly turned into an opportunity 2. Had I continued tracking the watermelon slicer, I may have known ways to pivot and save myself thousands of dollars. Instead, I just sent the products along the way to the nearest FC without knowing any better. It wasn’t until over 300 promo giveaways later with zero movement in the rankings did I discover I was getting smushed by a whole herd of other sellers trying to sell the same thing. Keeping up with my products in the web app’s product tracker helps me avoid costly mistakes. Recently, this almost happened again with another product of mine. I was looking to expand my product line and thought that adding a variation of one of my top selling products would double my profits. However, I discovered that what was once a category 7 product niche was now only a 4. Thanks to the product tracker, I was able to catch this in time and avoid another costly mistake. Sometimes, even if you’ve found the coolest product in the world through effective Amazon product research–and you’re going to hate to hear this–you need to wait. Give it a week or two. See how the market plays out. And be sure to track the product the entire time. Once more, the watermelon slicer story comes to mind (I know, I know… but I was traumatized, okay!) Had I just waited another week or two and tracked the product, I would have seen the other sellers filling in. To think that I was the only person who’d discovered a 1,000/month product niche was just arrogant. You’ll hear us time and time again at Jungle Scout that Amazon private label is super profitable, and still one of the most profitable ways to make money from home–but it’s not some get-rich-quick scheme. Those who are patient and bide their time will be the ones who discover success and profits. This is a throwback to the first don’t (focusing on sales only), but it’s worth mentioning because I don’t think it gets said enough. It doesn’t matter how many units you’re selling if you’re earning lousy margins and taking a long time to earn back your initial investment. At first glance, the apple slicer seems like the better product, right? 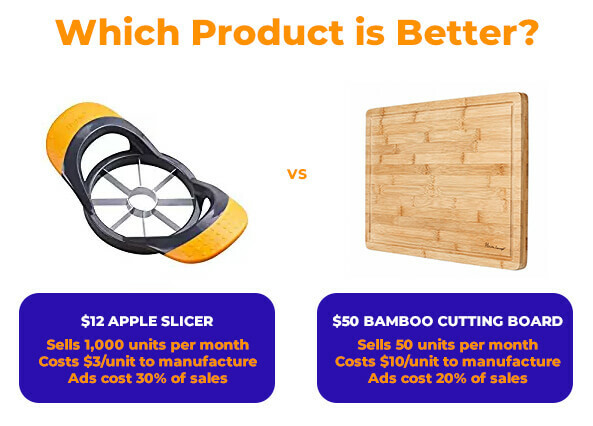 After all, it could potentially earn $12,000 per month in sales revenue vs the $2500 that the bamboo cutting board might earn. The apple slicer sells roughly 1,000 units per month on average. It costs $3 per unit to purchase and import the apple slicer. To have enough products for three months worth of sales, you will need to purchase 3000 apple slicers, for a total investment of $9,000. On average, apple slicers sell for $12 on Amazon. Advertising costs are roughly 30% of sales. Amazon takes 15% for referral fees and another $2.99 to ship your product. After 12 months, you earn $144,000 in revenue from your apple slicer. But, after subtracting fees, ad costs, and cost-of-goods sold, you gross $7,200. That’s a return-on-investment of 80%. Not bad, right? The bamboo cutting board sells roughly 50 units per month. It costs $10 per unit to purchase and import the bamboo cutting board. To have enough products for three months worth of sales, you will need to purchase 150 bamboo cutting boards, for a total investment of $1500. Unfortunately, the lowest MOQ you find is 200 units, so you have to spend $2,000. On average, the bamboo cutting board sells for $50 on Amazon. Advertising costs are roughly 20% of sales. Amazon takes 15% for referral fees and another $6.95 to ship your product. After 12 months, you earn $30,000 in revenue from your bamboo cutting board. But, after subtracting fees, ad costs, and cost-of-goods sold, you gross $9,330. That’s a return-on-investment of 465%! 80% return on investment versus 465%. Which one sounds like a better deal to you? Obviously, the bamboo cutting board is the winner here. Not only are you making your product dollar go further, but you’re spending a whole lot less money to get started. As a rule of thumb, I try to find products that will net me 4 to 5 times my original investment in the first 12 months. Marketing is a huge piece of Amazon private label sales, so it’s best to start early, even while you’re doing the initial Amazon product research. Amazon PPC is probably the best cost-per-click advertising utility I’ve ever used. It’s simple, elegant, and frankly, kind of cheap, especially when you factor in Amazon’s crazy high conversion rates. However, putting all your apples in the Amazon PPC basket can be a costly mistake. If you really want to succeed and build a brand and become a #freedombuilder then I highly recommend marketing outside of Amazon, too. 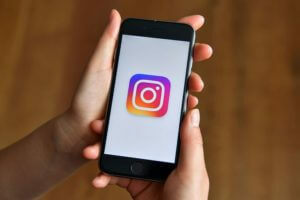 There’s plenty of ways to do it, but some of the most popular (and cheap) methods I’ve discovered include using Kickstarter to launch your product, putting up pics on Instagram, sending samples to influencers, and giving away promos on deal sites. For more cool marketing methods, be sure to read this article that outlines 5 ways to market your product outside of Amazon. Finally, and most important of all, don’t be afraid to take action. It can be pretty scary diving off the entrepreneurial cliff and into the world of Amazon selling. I’ve been there myself. I nearly canceled my first product back in 2015. True story. After a ton of Amazon product research, then going back and forth for months on the product design, my vendor informed me that the leather I’d requested was out of stock and they’d have to substitute another. At the time, I was already biting my nails about the whole deal. To me, this was a way out. Fortunately, I decided to mush on. A month later the product arrived and I launched it. Within five days, it had earned back my original investment and to this day remains my top-seller. It wasn’t the best product I ever launched by any means, but it was the first and it’ll always be my baby. That’s the cool thing about the Jungle Scout, #freedombuilders, and Genius Series communities. We’re here to help you! It’s our mission to find more aspiring entrepreneurs like us and help them get the lives they deserve. So please please PLEASE don’t ever hesitate to ask for help. How to Become an Amazon Selling Genius! In addition to Amazon product research, we will cover sourcing, importing, and marketing your own private label products. have you factored in having to restock over the year in your ROI calculations (number 8)? The ROI percentages are misleading as you seem to have divided gross profit / 3 month investment figure rather than 12 months. No, because that’s what you use with the base COGs which is removed from the equation. Does that make sense? shipping cost on bulk items from china, your shipping cost or amazon shipping plus the money and time spent for marketing gives you little profit. you better have a special unique product with very little investment cost or youll just waste your time down a camelzon rabbit hole. I think searching winning products and sourcing at competitive costs is the key to success on Amazon. Although it is getting tougher day by day but there are still big opportunities of finding niches with less competition. Fitness accessories can be a good option. You can plot in 25-30% of the price as a placeholder. If I have a product, I sell it for $10, I sell 1000 pcs per month, should i assume I will spend $10 x 1000 x 30% = $3000 on PPC? Then dont you think it is difficult to make profit? So are you making a loss for this product? You forget that organic eventually takes over, too, as the product starts ranking for certain keywords. So over time, the PPC % reduces. Currently, the PPC rate for the Jungle Stix is product is 14%. For #8 – DON’T Forget to Estimate Your Return on Investment, could you please explain how you came up with 80% and 465% ROI and the math behind it? BTW great article! Thanks for the kind words. Sure. The apple slicer earned $7200 in gross profit in its first twelve months. Originally, $9,000 was spent on the first order. Dividing $7200 by $9,000 we come to 80%. For the cutting board, same story. We grossed $9,330 in the first twelve months. Then we divide the start-up cost–$2,000–into the gross and come up with 466.50% (whoops, somehow I was off a point, but still). Both of these estimations assume that you’ll take the cost-of-goods sold (which, for accounting purposes, you should always remove from your profit and “set aside) and roll those into re-orders. Excellent content I never knew there were so many items one needed to consider when choosing a product. I’m still in the product research phase [and a little scared to pull the trigger as well. ] and some of the points you gave I have never even considered so thank you for the article. Thank you for this blog post, very helpful. When estimating ROI (#8), how do you go about estimating what PPC costs will look like before bringing the product to market? Great question! While the entire team was together in Thailand, I actually had the opportunity to suggest to Greg and the developers that we find a way to discover the actual costs-per-click for ads. While I don’t want to give away too much, it is something that we’re going to be potentially adding to one of our new tools available with the web app suite of tools. 1) You can plot in 25-30% of the price as a placeholder. Unless you’re in a highly competitive niche, this is usually a good rule of thumb. Keep in mind that the higher the average price of the niche, the smaller that number will be and vice versa for lower cost products. 2) You can get a lot of information from Google’s Keyword tool. While it may not tell you the same costs as Amazon, it at least provides a little insight. For example, if Google’s CPC is high for a particular keyword, then it’s probably relatively high in Amazon, too. one of our staff recently went through the same issues. She discovered that it just took a ton of submits to get it through, but after about 20 (yes, shockingly high) someone finally accepted it. thank you so much for your posting. My issues are still pending. As new seller, I do not know what to do, and can not find answers. This is my first investment on amazon, and right now I thought my amazon journey is almost ended because I do not have additional money to do another listing. I really appreciate your support. They keep rejecting my submits. May I connect with your staff little bit, and share some her experience. I am really praying someone may give me some lights on this amazon issue. From what I understand, Amazon’s going through a transitional period. Previously, they were nailed with a few violations to CPC and are now making up for lost time and seller support is being fairly conservative. Keep submitting and trying to get through. So far, we’ve found that to be the best bet. If possible, try getting a hold of an account representative, too. Thanks for the very informative and great article above. In point no 2 above, you mentione for us to “try setting up a listing for the product first” . Understand this is before we have our actual products being listed. How to go about doing this ? 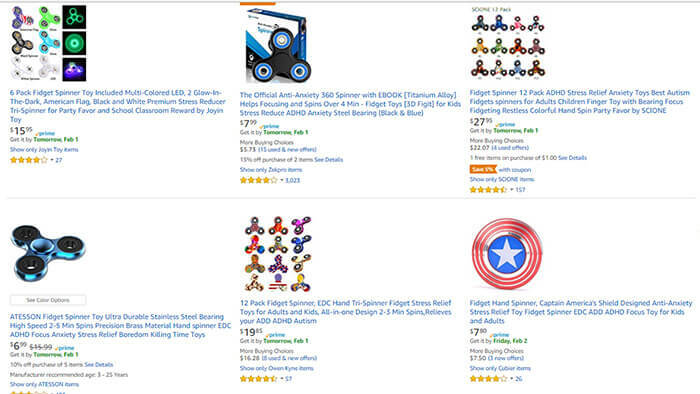 Recently I was adding a product into the Toys and Games category on Amazon. To make sure I could get approved, I created a listing in advance. You can do this by going to your inventory screen, clicking “Add a Product”, then clicking “Create a New Product Listing.” From there, the slide deck will take you through the process of adding a new product on Amazon. Even though you don’t have the product yet, your listing will still show up in Amazon’s database. Any issues that might arise (safety, CPC, etc) should show up immediately. I would just like to say thank you for the Genius series. Learning lots and really appreciate the time and effort you and your team have put in. I hope one day I will be as successful as you and your team. When using Niche Hunter to search for products it seems to return mainly branded items. What is JS’s recommendation on finding items to sell? Good eye! Since Jungle Scout caters to both private label and wholesale sellers, the Niche Hunter currently offers both branded and unbranded items (wholesalers often sell branded products to piggyback off the brand’s own marketing). We are in the process of finding a method to separate the two out. In the meantime, here’s what I do. If I’m doing a “filter only” search through the niche hunter then I’ll just skip a lot of the brands and look for items that are obviously not branded. Also, I’ll try to avoid categories that lend themselves to a lot of brands, like Sports & Outdoors for example. Additionally, I look for repeated terms and rephrasing of keywords such as “old candle book” and “book scented candle”. Those start to become obvious. Finally, when I do find a keyword that’s interesting, I switch over to the Chrome Extension and dig a little deeper to make sure that it’s a legitimate option. 1. I have followed last year for jungle snug series. I thought I learned quite bit, and I started to research products on jungle scout. 2. Since the jungle snug is baby product, I thought baby related products must be good. so I found couple of products on toys & games, sourcing them, packaging them, now shipping them. 3. now one of the products is already on freight, and I just found out on sellercentral, it needs to get approval. amazon asked me to submit sales invoice and Children’s Product Certificate. 4. Yesterday, I provided commercial invoice and packing list, and ASTM certifications. Their response is the invoice does not meet its requirements, and ASTM certifications do not meet its requirements as well. As new amazon seller, it is really caught me on surprise. I have no experience to deal with this situation. Please give some lights on this amazon tunnel. 5. another product is even worse. Right now it is under amazon review for FBA Hazmat. it has been for two weeks. I have submitted ASTM certifications for the products. They are still reviewing them. After all the research work, sourcing, shipping work, now I say to myself, amazon business is not easy business. This is hard. If amazon does not give approval for my products. I just wasted my money and lots of time. I do not even know if they do not approve the product to get into FBA warehouse, what I need to do? bring them home? Please give share you thoughts and experience. thank you so much. Toys & Games recently jumped up to a very difficult category to get into. They hired a new regulator in the company and he’s made a lot of changes. The good news is that as long as your paperwork is in order, you will be able to get your product into the system. Interestingly, one of our staff recently went through the same issues. She discovered that it just took a ton of submits to get it through, but after about 20 (yes, shockingly high) someone finally accepted it. This sentiment is shared all over Amazon’s seller forums, too, with other sellers experiencing the same problems. Back when we did Jungle Snugs things were a little different. But in order to better serve Amazon’s 2 billion monthly customers, they are constantly improving. Unfortunately, we sellers often get caught in the crossfire. TL;DR – just keep submitting. Hopefully you’ll get through. Thank you for this great session. Great insight. There are so many obstacles to consider. Thank you for taking your time to put out some really good content.